If you’ve been searching for a new, reliable bagless vacuum cleaner that won’t cost you the earth, you’ve arrived at the right place. We’re proud to stock a selection of affordable Vytronix bagless vacuums that are not only lightweight and easy to carry around, but also make an excellent choice for allergy sufferers. Each model features innovative filtration technology which can trap micro-sized particles and allergens. Nobody likes spending hours cleaning their home, not to mention having to constantly replace vacuum bags, which makes bagless alternatives a god-send for busy people. Each bagless vacuum cleaner from Vytronix features a generous capacity, so you don’t have to constantly empty the dust container. Do your furry friends leave pet hair all over the place? The Vytronix Animal model is perfect for that, and as a bagless model with a 3L dust capacity and a turbo pet tool you can use it as often as you need, making cleaning a hassle-free process. Do you maybe prefer something smaller that is great for quick on-the-go cleaning sessions? 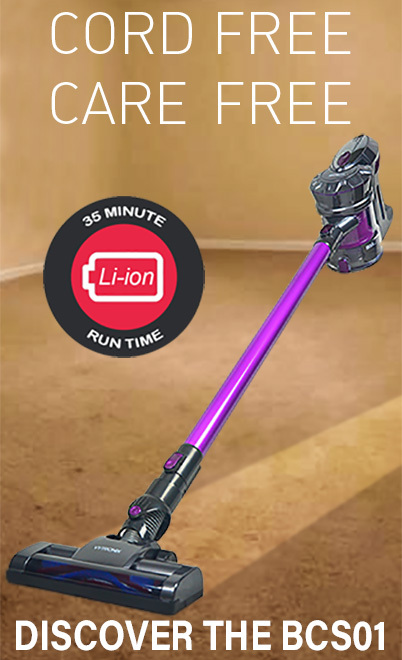 Then the Vytronix 2-in-1 corded handheld stick bagless vacuum is the right choice. To learn more about each bagless model available in the Vytronix range simply browse the products available below and make sure to come back regularly and check for new additions.